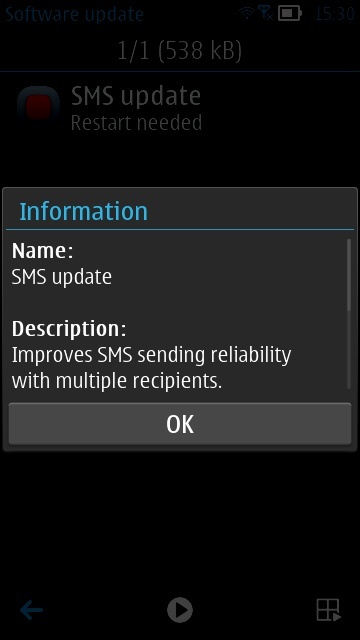 Rolling out now to some (Symbian^3-generation) devices is 'SMS Update' claiming to fix an issue involving sending texts to multiple recipients. Data points are needed as to exactly which devices are affected. Screenshot proof below. 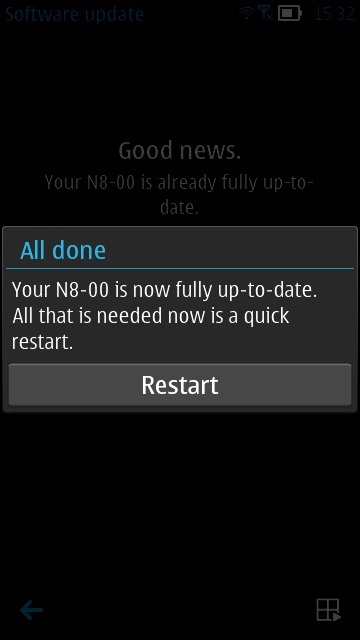 This appeared on the editorial Nokia N8, comments welcome if you received it on any other Symbian device and if it fixed any known issues for you! You can check by going into SW Update on your device... Note, as shown above, that a restart of the phone will be needed.